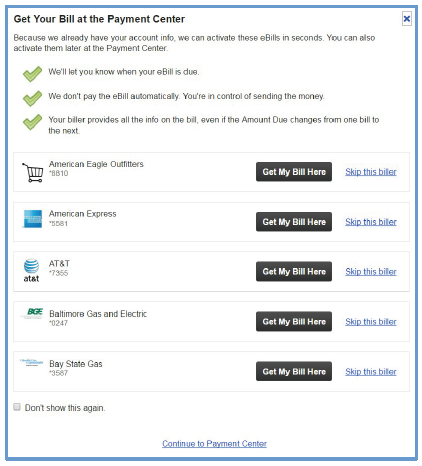 The “eBill” link is now called “Quick eBill Activation". 2. 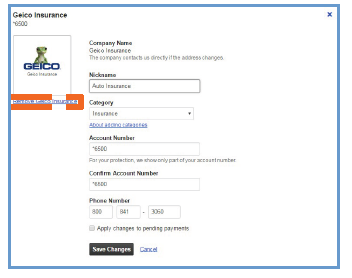 The "eBill" link is now called“Quick eBill Activation". 3. The Payee “Remove link” location changed. It is now under the Payee icon. If you use one of the following browsers you may experience a warning message requesting that you upgrade your browser. You can choose to ignore the request or update your browser. If your browser is out of date you will be required to update the browsers before you can continue to the site.